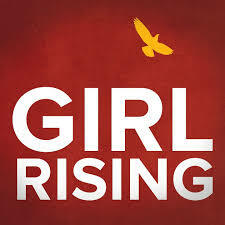 Girl Rising is a global campaign for girls' education and empowerment whose mission is to change the way the world values girls and to ensure girls everywhere can be full and equal participants in society. On Monday, April 29, at 3:00pm, we will watch part of the inspiring Girl Rising film, which follows nine girls from Haiti, Nepal, Ethiopia, India, Egypt, Peru, Cambodia, Sierra Leone, and Afghanistan on their journey to education. The girls in this movie -- and so many around the world -- are struggling to pursue their education. In addition, we will also take action locally to help women and families at the Betty Ann Krahnke Center (BAK), the only emergency domestic violence shelter in Montgomery County. The BAK Center has 60 beds and helped over 450 women and children move towards a safer future, last year. We will collect household goods for families at the BAK Center, including toiletries, diapers and baby wipes, gift cards, car seats, strollers, towels and washcloths, twin sized sheets, blankets and pillows, new board games, blocks, and lego sets, arts and crafts supplies, and suitcases and luggage. We will talk after watching the film about issues confronting women, around the world and in the U.S. Teens may join and receive SSL credit for their attendance and involvement in our discussion. Discussion leaders are Anna Green and Amy Hansberger. Laurel Reiner and Shizuka Kondo will take household goods collected to the BAK Center.